A wild game Monday afternoon saw NorthWood spoil Valley’s season opener in Akron. Three straight Valley fielding errors along with a Cybil Stillson RBI single helped NorthWood add four runs of insurance to give the Panthers a five-run cushion in the seventh inning. Stillson had a huge game, going 3-4 at the plate with a triple, three runs scored and three driven in. Her triple in the third and a subsequent Valley error yielded the first run for NorthWood, while Gracie Clark added two hits and four RBIs. Morgan Jenkins scored three runs for the Panthers. Valley used a six-run fourth inning to tie the game at seven, once again aided by a trio of errors. Taylor Czichilski had a two-run single to tie the game at seven. Ally Betten added three hits and two runs scored for the Vikings. In what was a poor fielding contest with 18 total errors committed, Clark’s eight runs allowed in the circle yielded just one earned in the complete game win for Wood. All 13 of NorthWood’s runs were scored as unearned, Sydney Howard taking the loss in relief of Mayde Fear. Tippy had a late burst to get past Wood in the JV contest, winning 9-5. Shelby Baker had the go-ahead RBI single for the Vikings in the fifth, which broke a 4-4 tie. Baker also had an RBI single in the first inning. Valley had multiple hits from Baker, Dortha Tucker and Mercedes Snapp and got the pitching win from Sydney Rhamey, who threw all seven innings, striking out six. NorthWood (1-1) will get right back at it Tuesday with a home contest against Fairfield while Valley (0-1) will be off until April 8 at Triton. Just two days after hanging 17 runs in a win at Westview, Lakeland did the same to Wawasee Monday afternoon in Syracuse. The Lakers scored in every inning, eventually taking an 11-1 lead in the sixth inning before Wawasee mounted any response. Chloe Gust had three hits, including a three-run homer in the seventh, and ended with six RBIs to lead a stout Lakeland attack. Kierstin Roose had three hits and four runs scored, and Bailey Hartsough added four hits, two RBI and four runs scored. Lakeland as a whole rapped 16 hits and drew seven walks in the contest. Bethany Flannery homered for the second straight game and drove in a pair for the Warriors, which did pound out 14 hits in the game. Marissa Hunziker, Casey Drake and Danielle Jenkins all had two hits and combined for three runs scored. Olivia Stuck took the loss, giving up nine runs in a relief role of Flannery, who was touched up for the other eight runs. Elise Edwards picked up the win for Lakeland, giving up one run on two hits and striking out six in five innings of solid work. Wawasee (1-1) will host West Noble Tuesday. Grace’s softball team enjoyed an outburst of offense on Monday against Bethel. The Lady Lancers poured in 25 runs on 29 hits, blasting four home runs in the process. Grace won the opening game 13-5 in a run-rule, but Bethel got revenge 13-12 in the second game. In the opener, Grace scored in each of the first five innings to end the game early from the mercy rule. Olivia Scarbrough doubled and then scored in the top of the first to start Grace’s scoring. In the top of the third, Britney Young sent a 2-1 pitch over the left field fence for a 2-run home run. Grace ripped off four more runs in the top of the fourth — all with two outs in the frame. Morgan Tapscott hit an RBI single to start the scoring, and Young later drove in two runs with a double. Natalie Klingberg had an RBI single on the next at-bat to bring in Young. The Lady Lancers (5-14, 1-6 Crossroads League) were able to end the game in the fifth with five runs. Kaitlyn Heffner set the tone with a leadoff home run, and Grace quickly loaded the bases soon after. Young singled to score a pair of runs, and Erin Lawhon then singled to score another. Andrea Castillo’s fly ball allowed Young to score for the final run of the game. Young was dynamic, going 3-for-4 with three runs and six RBIs, and Bethany Gardner was 3-for-3. Tapscott was 2-for-3 with two runs and an RBI, Scarbrough hit 2-for-3 with three runs scored, and Jessica Kaurich finished 2-for-4 with two runs and a run driven in. In the second game, Grace led 4-2 after the top of the fourth inning. Young had a two-run single in the third, and Emily Bobb’s alert baserunning brought her around the basepaths to score in the fourth. But the Pilots (4-12, 1-5 CL) retaliated by hanging six runs in the bottom of the fourth to take the lead for good. Five of those runs were scored with two outs, and the final run plated directly after an error by Grace in the field. Lawhon’s 3-run homer in the top of the fifth kept Grace within striking distance. Bethel put the game almost out of reach by scoring five more runs over the next two innings, handing the Pilots a 13-8 lead. 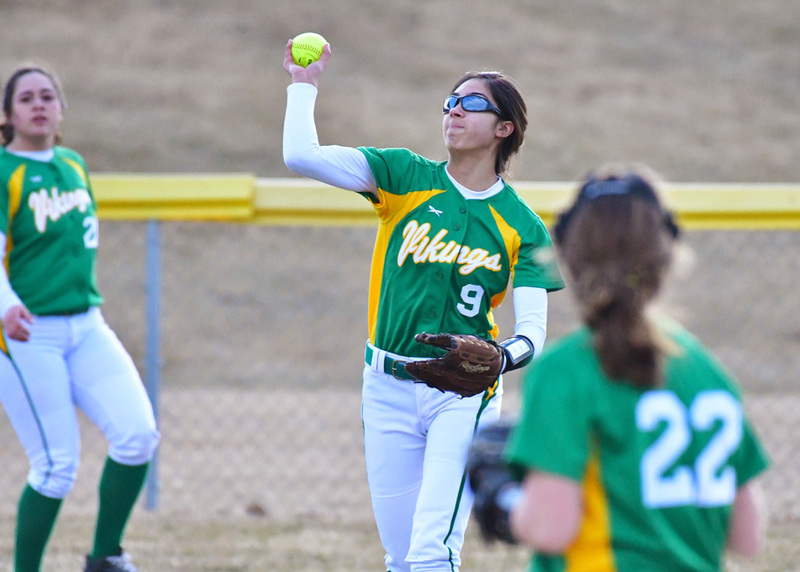 The Lady Lancers nearly pulled off a memorable comeback in the seventh inning but came up one run short. Grace remarkably scored four runs to cut Bethel’s lead down to one, but the Lady Lancers’ potential tying run was thrown out at the plate to end the game. Bobb hit 3-for-3 with 3 runs, one RBI and one stolen base, and Kaurich was 2-for-5 with a home run, run and 3 RBIs. Lawhon was 1-for-2 with a run and three runs driven in, and Sam Heim batted 2-for-3 with one run scored. The Lady Lancers remain on the road Tuesday, playing at Spring Arbor in a 3 p.m. doubleheader.